AUSTRIA, Vienna, 1.03.2018. 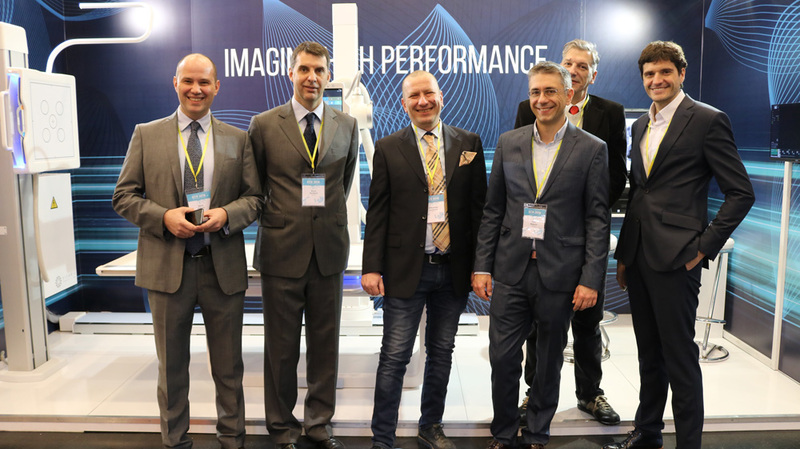 Visaris, the Serbian manufacturer of digital X-rays, presented their enhanced VISION AIR, fully robotic radiographic device at the ECR 2018, EXPO X3, Both 313, from February 28 – March 4, 2018. 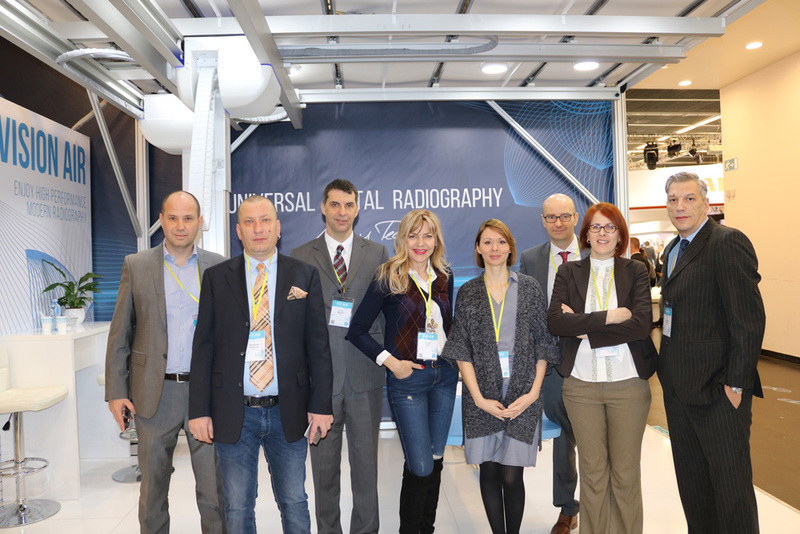 The European Congress of Radiology (ECR) is one of the largest medical meetings in Europe and the second-largest radiological meeting in the world that hosts approximately 30,000 international radiologists, medical physicists, and professionals from the medical imaging technology field. 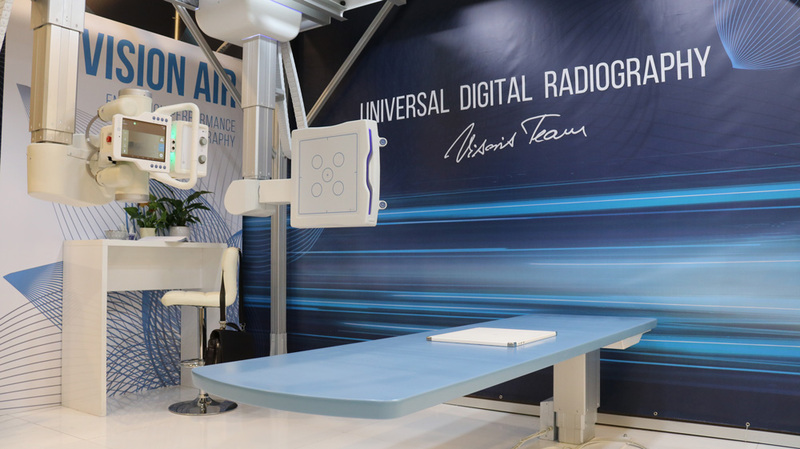 Vision Air is a state-of-the-art, universal, overhead digital radiography system capable of all radiography examinations with a single, high quality, flat panel detector system. 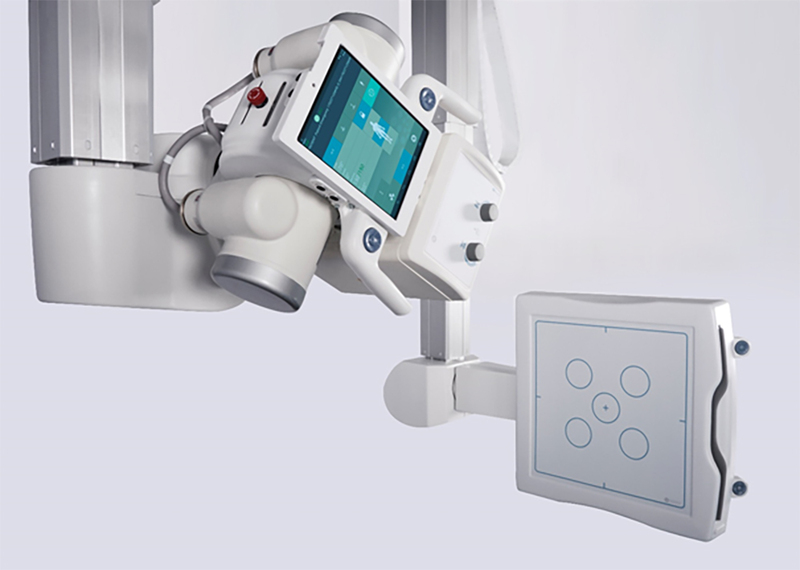 Based on a fully programmable, automated robotics, with intelligent positioning control the system will seamlessly transform functionality from a vertical X-ray bucky stand to table positions. Air system has a dedicated positioning user interface on the tube head and a fixed, single suspension, elevating patient table with a carbon fibre table top. Enhanced Vision Air contains multiple unique security and safety system which brings our users a totally safe environment control. Visaris was founded in 2003 in Belgrade combining know-how and enthusiasm of young people who decided to apply their international experience and education in Serbia developing high-tech solutions in medical diagnostics. The company is unique not only in Serbia but also in the Southeast Europe region owing to its development program, design and solutions in the field of digital radiography and medical imaging. The company currently has 60 employees. 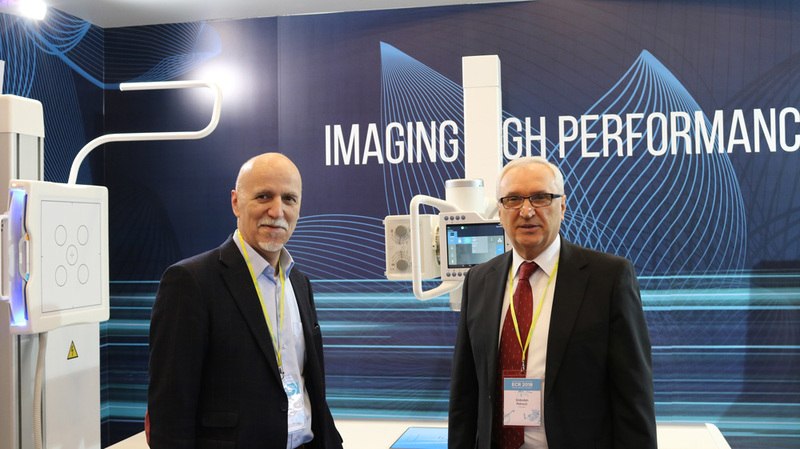 By 2017, Visaris has successfully carried out over 300 commercial installations, thus securing leading position in digital radiology in Serbia and becoming one of major manufacturers of digital X-ray machines in the world. Visaris devices are present in the Germany, Slovenia, Czech Republic, Switzerland, South Africa, USA, Cuba, Jamaica, Great Britain, Portugal, Poland, Iran, Turkey, Romania, Montenegro, Pakistan, Taiwan and Australia. Visaris’ business fully complies with quality management systems and standards ISO9001 (General Quality Management Systems) and ISO13485 (Quality Management Systems for Medical Devices). 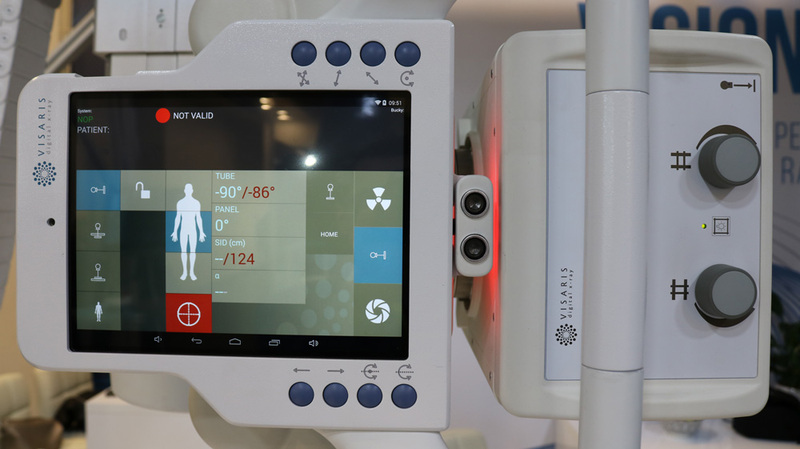 The group of Visaris digital imaging systems for diagnostic X-ray technology complies with the EU Medical Device Directive 93/42/EEC and is eligible for the CE marking according to applied safety standards. Visaris’ devices are registered with the Medicines and Medical Devices Agency of Serbia (ALIMS) and have marketing authorization on the territory of the Republic of Serbia.